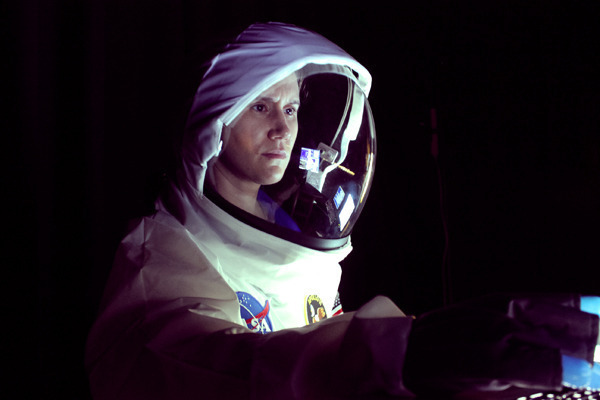 Erin Treadway as astronaut Molly Jennis in Spaceman (Credits: Loading Dock). The play strives to examine all the difficulties of space travel. “Radiation exposure, long term weightlessness, low light, extensive communication delays and poor hygiene are just a few of the challenges astronaut Molly Jennis must face as the first to Mars,” says production company Loading Dock. Artists are increasingly using space missions as a backdrop to explore the human psyche while expressing their passion for space, as Joseph Popper did in his exhibit One Way Trip.